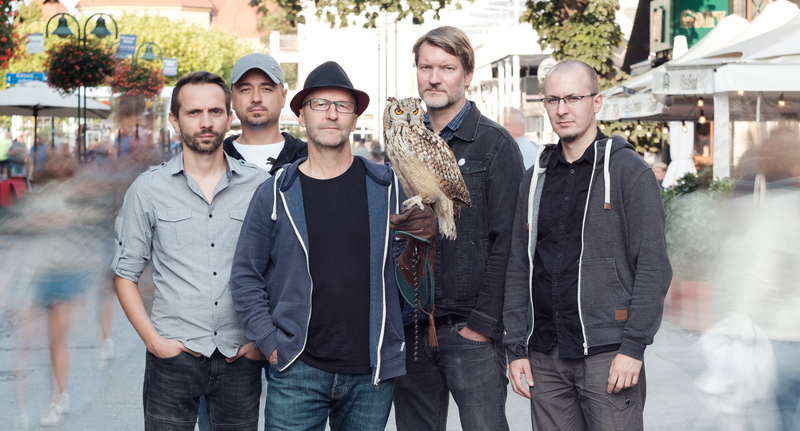 The new album recorded by polish norwegian Free Fusion Band. Something for fans of alternative music from the genre of experimental fusion. 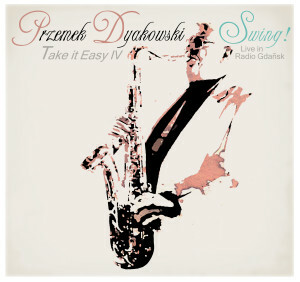 Take it Easy IV – SWING! Fryderyk Award for Phonographic Debut 2016. Wojciech Staroniewicz (ts), Przemek Dyakowski (ts), Darek Herbasz (bari), Marcin Janek (ss), Dominik Bukowski (mar, vib), Janusz Mackiewicz (b), Roman Ślefarski (dr), Larry Okey Ugwu (perc). Allegro Records is an independent record company and an artist management company promoting Polish artists. Our aim is for our music to reach as many sensitive people feeling the need to commune with the passionate art of improvised music as possible. 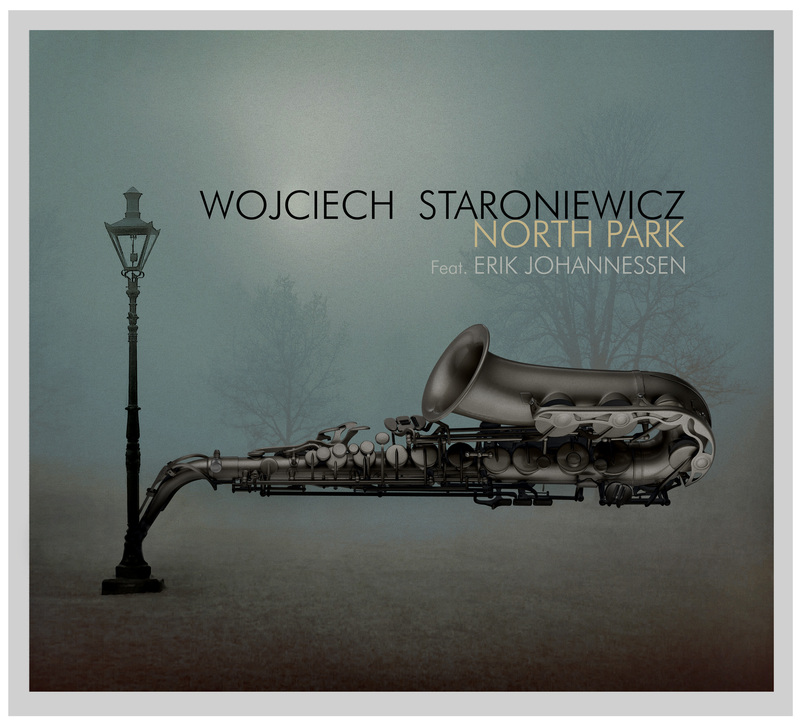 Wojciech Staroniewicz is a well-known Polish saxophonist and composer, who has been performing in front of audiences for over 25 years and he keeps on surprising his fans with new original musical projects. 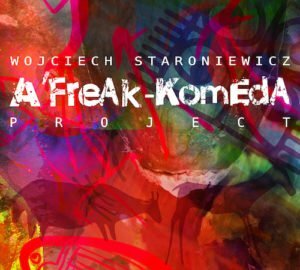 His broad spectrum of musical style has been captured on 8 albums to date: Quiet City, Karambola, Hand made, Conversession, Alternations, A’freak-an Project, Tranquillo and A’FreAk-KomEdA Project. His entire discography includes over 40 titles. 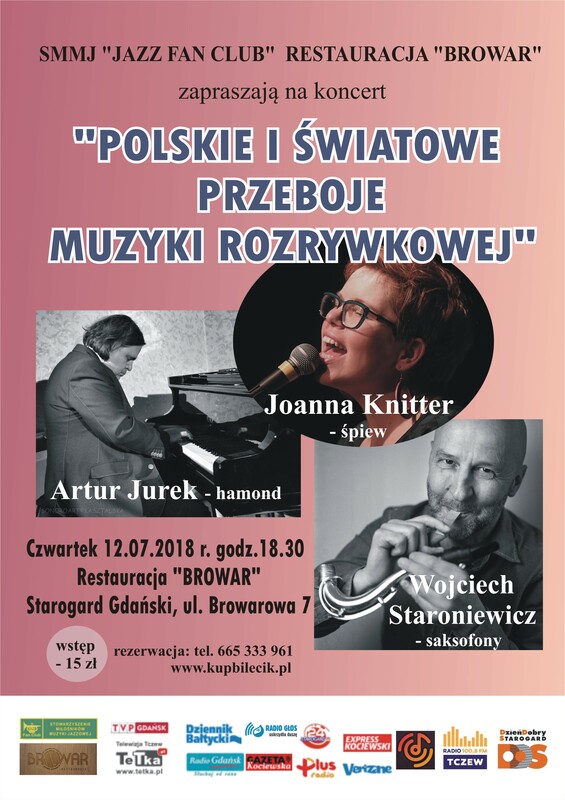 Staroniewicz has also been invited to collaborate as a side-man with other well-known musicians and bands which include (but are not limited to) the Norwegian band Loud Jazz Band, Wlodzimierz Nahorny Sextet and the Metro musical. Throughout his career he has been performing with a variety of excellent musicians such as: Andrzej Jagodziński, Włodek Pawlik, Cezary Konrad, Krzysztof Herdzin, Adam Cegielski, Nippy Noya, Helge Lien, Erik Johannessen, Brian Melvin and most of the leading jazz musicians of Trojmiasto. of the International Jazz Improvisation Competition in Washington, D.C. ‘91. Other awards include: the 1st collective prize and the first individual prize for the best composed piece at the Jazz Juniors Festival ‘85; 1st prize Golden Key to Career at the Pomeranian Jazz Autumn with the band Set-Off; 2nd prize at the International Contest for Youth Orchestras in Hoeilaart, Belgium. Staroniewicz is also a winner of the prestigious Sopocka Muza award (‘09, in the category of art and culture), funded by the mayor of Sopot. Wojciech performed on the main stages of: Jazz Jamboree, Warsaw Summer Jazz Days and Gdynia Summer Jazz Days – the same stages where Kenny Garrett, Chick Corea, David Sanchez, James Carter and Yellow Yackets also performed. 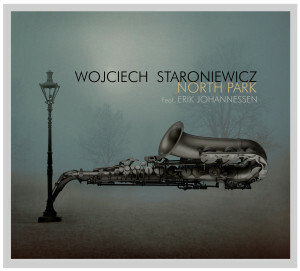 Most recently, Staroniewicz has been active as a soloist with the Polish Chamber Philharmonic Orchestra (conducted by Wojciech Rajski) and also with his own band which plays contemporary jazz based on his original compositions. 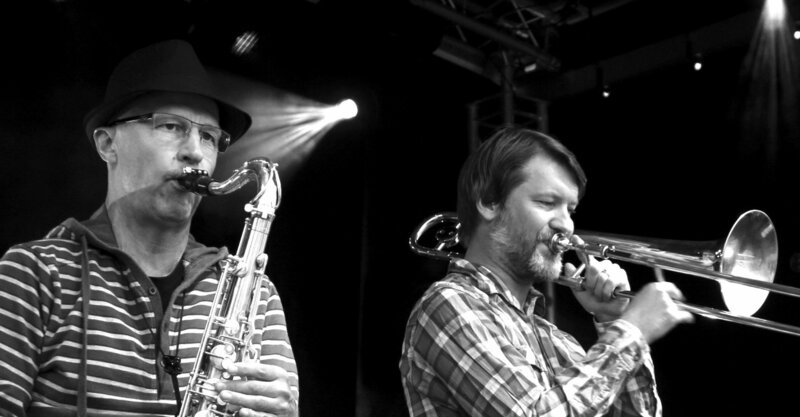 Erik Johannessen – Born in 1975 Oslo, Norway, plays the trombone, percussion and sings in Jaga Jazzist, who won a Norwegian Grammy for the album One-armed Bandit in 2010. 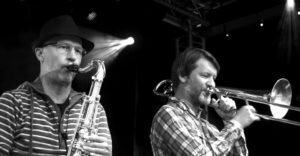 He has toured all over the world with Jaga Jazzist, Ensemble Denada, Loud Jazz Band, Trondheim Jazz Orchestra and the trio Lord Kelvin. He is a modern trombone player in the free jazz field, but also enjoys melodic improvisation. He composes and arranges music for small and large ensembles and was nominated for the composer of the year at the Norwegian Grammy for a children’s music record called Snydelig, featuring The National Broadcasting Orchestra (KORK). He plays on numerous pop/rock albums with Susanne Sundfør, Lindstrøm, Maria Mena m.m. Dominik Bukowski – Jazz vibraphonist, composer, born in 1977. Jazz vibraphonist and composer. In 2018 he has been awarded as the best vibraphonist in Jazz Top by Jazz Forum magazine. In 1996 he graduated musical college in Elblag, then studied at Music Academy of Gdansk (instrumental faculty). In 1998 he continued his studies at jazz music department of Music Academy of Katowice, where he graduated in 2002. In 1999 him & his band Blue Mind Quartet were singled out for special praise in „Ogólnopolski Przegląd Młodych Zespołów Jazzowych i Bluesowych” in Gdynia. In January 2002 the band received first prize in a prestigious competition Bielskiej Zadymki Jazzowej in Bielsko-Biala and Dominik was presented with a statuette „Jazz Angel 2002” and also had their first album produced and released. He was nominated for the” Grand Prix Jazz Melomani 2003″ in the category „Hope of Music Connoisseur 2003” and „Storm of 2005” by Gdansk edition of Gazeta Wyborcza daily. He was also nominated by „Dziennik Baltycki” in a plebiscite „Man of the Year 2005”. His album „Projektor” was rated one of the top ten albums of 2005 by the Jazz Forum magazine and in 2010 his last record ,,Vice Versa” was nominated for the Fryderyk Award. In 2013 „Kropla Slowa”, the album of Krystyna Stanko in which Bukowski composed most of the music, was chosen as the best album of the year by Jazz Forum magazine. Also as a sideman he was awarded The Gold Disc for „Melisa” of Przemek Dyakowski. In 2011 he received Artistic Award from the Marshal of the Pomorskie Voivodeship. His record „SUFIA” from 2016 got many very good reviews and was in few annual critics polls as one of the best album. Dominik Bukowski played and recorded with musicians such as: Amir ElSaffar, Cikada Quartet, Nigel Kennedy, Soweto Kinch, Tim Hagans, Janusz Muniak, Leszek Mozdzer, Piotr Wojtasik, Maciej Sikala, Zbigniew Namyslowski, Jan „Ptaszyn” Wroblewski, Krystyna Stańko and others. He has performed at many polish jazz festivals and abroad (Canada, Indonesia, Israel, Russia and most of the European countries). Dominik Bukowski is also the composer of music to few theatrical and choreography performances. Together with wife Anna has opened music school ,,Virtuo” in Gdynia. Paweł Urowski - is a bassist and bass guitarist, who graduated from the Karol Lipiński Academy of Music in Wroclaw at the Instrumental Faculty. Winner of numerous awards in top jazz competitions such as, among others, EIM, Jazz Juniors, and Krokus Jazz Festiwal. He has recorded 17 albums, including an album nominated for the Fryderyk Award 2010, recorded with Dziki Jazz band comprising Kamiński, Pater, Urowski, and Gorzycki. His recent albums include „Alone” by Marek Malinowski Quartet ( Requiem Records), „Right Moment” by Jachna / Cichocki / Urowski / Krawczyk (Requiem Records), Damięcka/Bertazzo Hart/Allen/Urowski and „WidePoint” by Urowski / Lemańczyk / Wendt / Krawczyk. Przemysław Jarosz - jazz drummer, composer, teacher has been established in Wrocław since 1999 when he began his studies at the Karol Lipinski Academy of Music. During his studies he was the finalist of numerous competitions and a winner of individual and collective prizes. Collaborating with many bands, he performs at a most of prestigious Jazz Festivals in Poland like the Jazz Nad Odrą Festival, Głogowskie Spotkania Jazzowe, Jazz w Ruinach or Green Town of Jazz to name some of them. He plays concerts in Poland, Germany, the Czech Republic, Bulgaria, Romania, the Netherlands, Slovakia, France and Belgium. 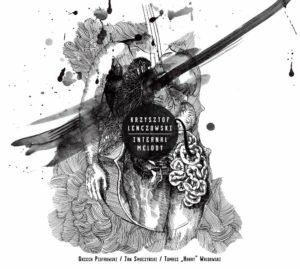 He continuously records new albums: with Piotr Baron Quintet “Jazz na Hrade”, with Dominik Bukowski “Simple Words”, with Maciej Fortuna “Jazz grom POLAND, vol. 1″ in 2012, with Krystyna Stańko “Snik” in 2014 to name some of them. Since December 2015, he leads his own group Yarosh Organ Trio touring around POLAND, performing at most significant jazz festivals. 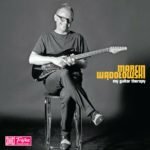 He released a debut CD called „Yarosh Organ Trio” on February 2016 and will release the 2nd called „Alterakcje” which is expected on September this year. Since 2005 he has been involved in teaching and scholarly activity. In 2014 he earned a doctorate in musical arts. Currently he works as an assistant professor, teaching jazz percussion at the Music Academy in Wrocław and as a lecturer in percussion at the Institute of Music of the University of Zielona Góra. Jazz musicians pretending to be ordinary people. Staroniewicz is a native of Sopot and lives still in the area. You will probably not see him rollerskating the tracks in the park, but you can catch him swimming outside the beaches beside the molo of Orlowo. He used to live and practice saxophone, and compose contemporary jazz tunes in his studio close to the park. the mountains in Ireland and swimming in the oceans just like his father. on the other side, creating a storm, like the band experienced while recording this album in the Monochrome studio situated in the hills in the south of Poland. It is a beautiful studio in the middle of nowhere, far from the city life temptations, but your basic needs are fulfilled by the studio barista Ignacy Gruszecki, who you also find behind the mixing table. main street of Sopot and the band was joined by an owl called Luna. At some of the pictures the band had to walk around among the tourists and the trombonist thought the bass player Paweł Urowski and the others looked like jazz musicians pretending to be ordinary people. working musicians portrayed in the song Dogs on Tour, with the intense melody and quiet, dangerous solos by the drummer Przemek Jarosz and norwegian trombonist Erik Johannessen. The studio was a perfect place to focus on the music, and being in touch with the surrounding, peaceful nature and not feeling the pressure to fit society. 2019-09-13 LOUD JAZZ BAND in Oslo at Radhusteatret Ski.